There's nothing cooler to me than seeing remnants of old, old New York. 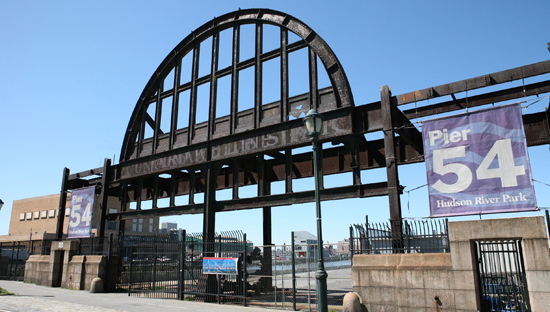 This is Pier 54, it's located south of 14th Street at the West Side Highway. It was owned by White Star Lines (and frequently used Cunard ships) and this is where the RMS Carpathia docked to unload the survivors of the Titanic. Is it not cool as hell that this is still standing and VISIBLE after 102 years?! 'Cause I think that's insane and amazing. I don't know why I have such a fixation with Titanic-related stuff. I remember hearing about it when I was a kid and just thinking that it was such a crazy story. And then I found out that I had a great-uncle who worked in steerage on the ship, so that (of course) only made me more intrigued by the whole event. Anyway, it's so neat that this beam is still standing. 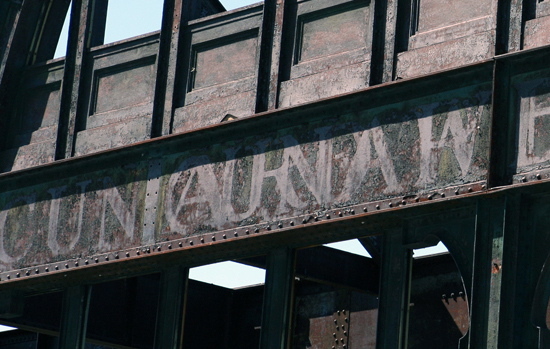 Obviously it'd be way cooler if THIS had somehow been restored and not torn down, but that's in the past now. It really looks like it was a beautiful building.